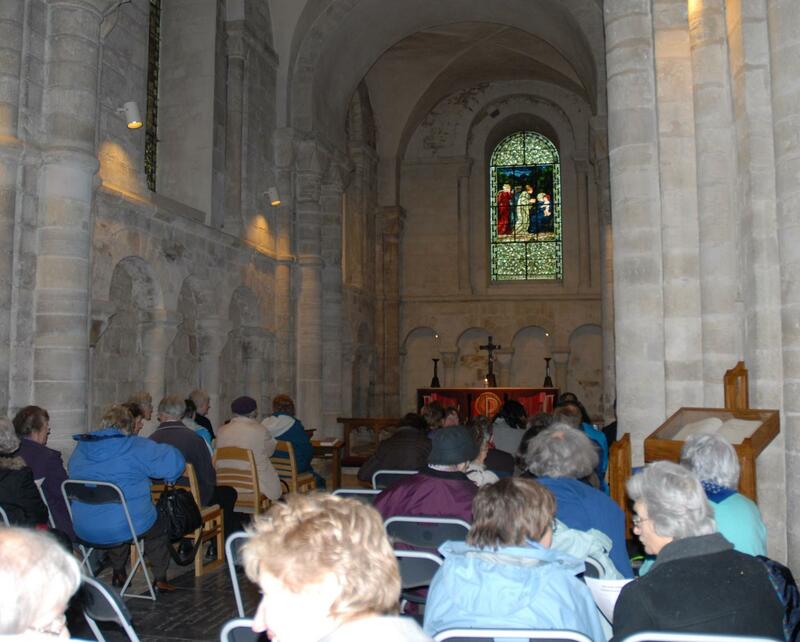 Once a month, Mothers’ Union members from across the Diocese of Winchester gather at Winchester Cathedral for a service of worship and prayer. The services are held (usually in the Epiphany Chapel) on the first Wednesday of each month at 10.30am. Anyone visiting the Cathedral is welcome to join the worship, whether you are a Mothers’ Union member or not. Mothers’ Union members from different areas (deaneries) of the Diocese of Winchester take it in turns to lead the worship, the style of which varies from month to month depending on the skills, preferences and resources of those members. People who attend the service regularly enjoy the breadth of liturgy, music and prayer that is shared throughout a year. Common to all these services are prayers for whichever diocese are at the centre of Mothers’ Union prayers worldwide on that date (what we call Mothers’ Union ‘Wave of Prayer’), prayers for our own regional links, both through Mothers’ Union and the wider Diocese of Winchester, and prayers for the sick and bereaved that are known at the time. Occasionally, at the request of the Dean and Chapter of Winchester Cathedral, Mothers’ Union Cathedral Prayers are held in an alternative venue, elsewhere in the Cathedral Close. Cathedral Guides will be able to advise visitors if this is the case.